The Kingdom of Italy went into WW1 with recent experience of warfare, having taken possession of Cyrenaica and Tripolitania in North Africa (modern day Libya) from the Ottomans in the Italo-Turkish War of 1911-1912. The Italians also seized the Dodecanese Islands (although in the 1912 treaty in which the Ottoman Empire ceded those parts of North Africa and Rhodes, Italy was meant to evacuate its forces from the Dodecanese – something they did not do) and the Island of Rhodes, significantly expanding their sphere of influence in the Mediterranean. They sought to consolidate this new power and influence by entering an agreement with the Austro-Hungarian and German Empires, in an attempt to gain acceptance from them over their new North African colonies. The war provided the Italians with their first experience of motorised and armored warfare as they made use of armored cars such as the A.Mi.Co. Fiat 1912. Prior to the assassination of the heir to the throne of Austria-Hungary, Archduke Franz Ferdinand, in June 1914, Italy was alongside Austria-Hungary and Germany in an alliance known as the Triple Alliance. These powers probably expected Italy to side with them as the various nations activated their alliances and declared war on each other. Austria-Hungary mobilised against Serbia in July 1914, but Italy decided to stay neutral. It remained neutral even after Germany declared war on France in August 1914. By 1915, the Italians had been swayed away from the Triple Alliance to the side of the Triple Entente (the understanding linking the Russian Empire, French Republic and the United Kingdom of Great Britain and Ireland). While it may seem that the Kingdom of Italy did not keep to its word by not joining Austria-Hungary, it should be considered that the terms of the alliance only required Italy to go to war if German was attacked by France and, unless France attacked Italy, Germany would not come to its aid either. Likewise, with Austria-Hungary, the Kingdom of Italy was not obligated to join with either side in the event that they went to war with each other, and the two nations were still in dispute over various territories in the Adriatic and Aegean regions, and over the status of the Balkans. Regarding France, Italy actually had an agreement with them ensuring each would remain neutral in the event of an attack on each other, so in 1914, Italy was fulfilling the terms of this treaty by not going to war against France. Therefore, Italy did not join the war immediately and managed to extract significant concessions and agreements from the Triple Entente by entering the war on their side. This was confirmed in a secret pact known as the Treaty of London signed in April 1915 which required the Kingdom of Italy to leave the Triple Alliance with Austria-Hungary and Germany, to join the Triple Entente. In exchange, Italy would be granted the Tyrol up to the Brenner Pass, Istria, Trieste, Northern Dalmatia, parts of the Duchies of Carniola and Carinthia, the Dodecanese Islands (which they held since 1912), parts of some German colonies, and assignment of Albania as a protectorate. This treaty was not abided once the war finished and the terms were ignored by American President Woodrow Wilson, which meant that Italy had effectively been tricked into joining the war for the allies. It was to pay a very heavy price for its involvement in WW1 on the basis of this agreement and got little or nothing in return with gains in the South Tyrol, Trieste, Trentino and Istria. 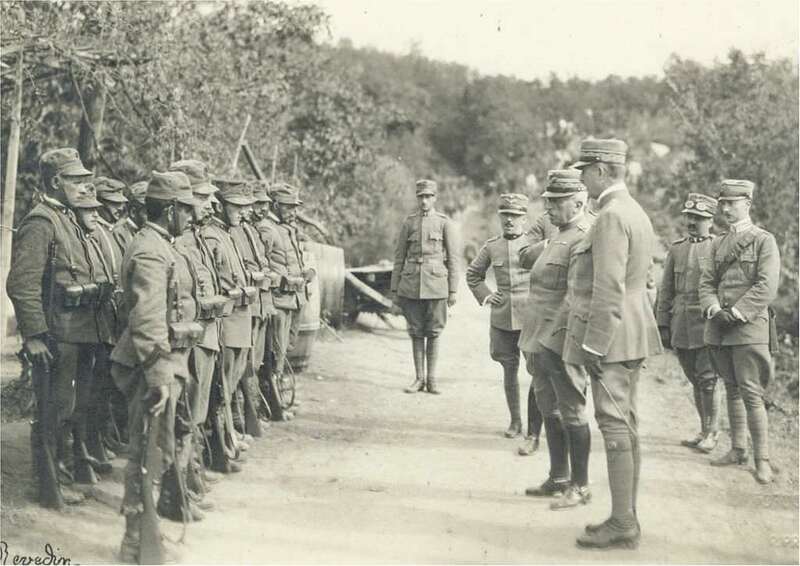 General Luigi Cadorna – Commander of the Italian forces talking to Italian troops prior to fighting in the Isonzo sector. 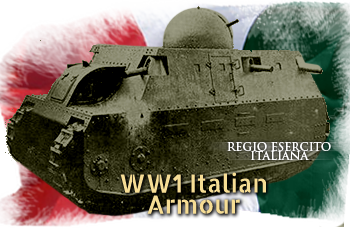 Despite having been one of the first powers to use armored vehicles in war in 1911-1912, Italy did not get the opportunity to make much use of armor in World War One. Fighting mainly in mountains was not conducive to large heavy tanks. As a member of the Triple Entente, they got to witness tank development in both Britain and France and were influenced by both. The Italians were very interested in the possibility of tanks being able to break the deadlock on the Isonzo and were particularly interested in French tanks like the Schneider CA-1 and the Renault FT, of which they eventually ordered some and later built their own version. 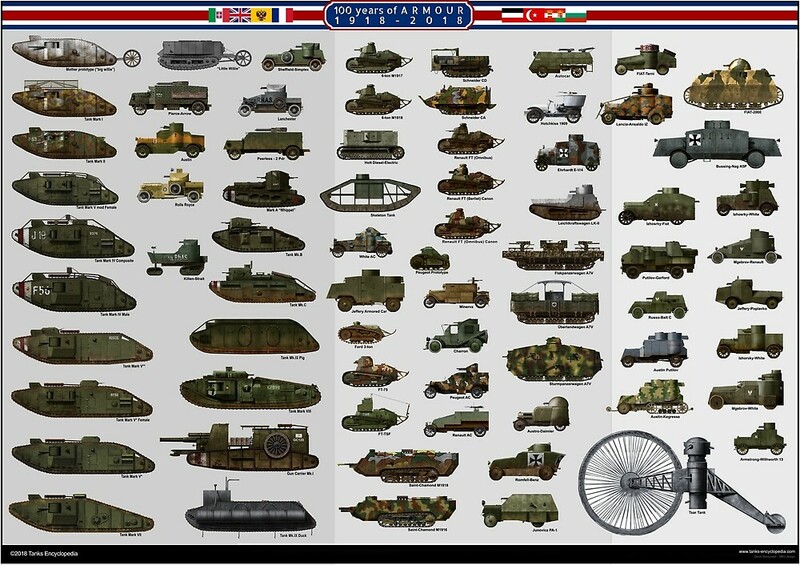 The first tank produced by Italy though, was not a copy of a foreign tank, it was to be something completely different, a 40 tonne monster built by Fiat, the Fiat 2000. Italy had initiated tank development possibly as far back as 1916, but certainly, by 1917 development had firmly started on what was to become the Fiat 2000. Produced by the firm of Fiat, the Fiat 2000 was an all Italian affair, featuring a fully revolving turret with a 65mm M.1910/M.1913 mountain gun – the most powerful gun fitted in the turret of any tank in WW1. The first prototype was finished in 1918 and soon after put on trials, whilst the second vehicle finished in February 1918. It weighed 40 tonnes, making it the heaviest tank built in WW1. Protected by 20mm of the best quality armor plate available, it was also better protected than its contemporaries. With no less than eight M.17 Fiat 6.5mm machine-guns around the hull and the 65mm gun in the turret, the Fiat 2000 was well armed too. The design never entered serial production though, as the Italians instead chose to produce a vehicle based on the design of the French FT, in what would become the ‘Fiat 3000’. Nonetheless, the Fiat 2000 remained in service seeing overseas deployment to Libya and during numerous parades. A final upgrade was done in 1934 by fitting two 37mm L.40 anti-tank guns into the front, making this 1917 tank one of the heaviest armed tanks in use before WW2. The Fiat 2000 was the heaviest tank produced in Italy until the M.60 in the 1960’s and remains an icon of tank production. 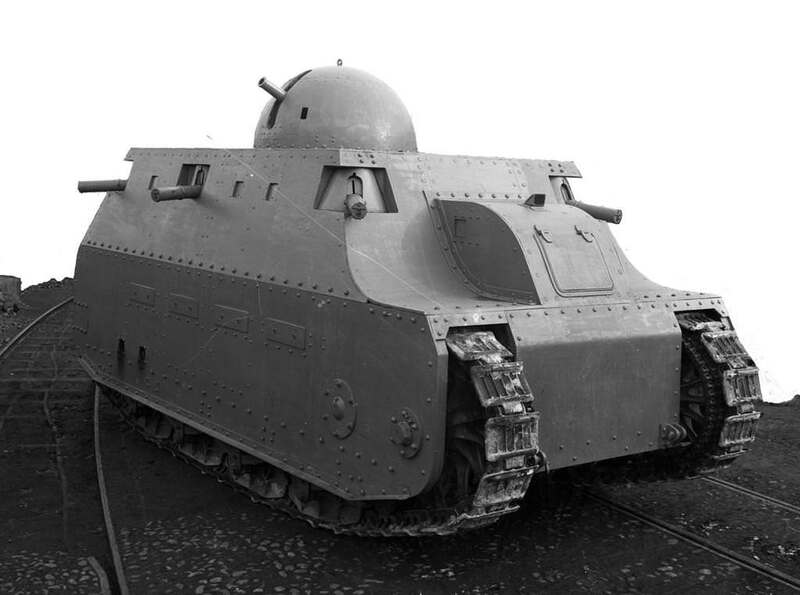 The Gussalli ‘tank’ was not an armored vehicle in any sense of a conventional design. It used neither wheels nor tracks but, instead, ‘walked’ on a series of ski-like-skids (runners). Designed by Captain Luigi Gussalli in 1916 and 1917, the machine used a large armored central tower topped with a rotating circular turret. The design got as far as a partially functional prototype and despite impressing some military officers, it did not enter production. The Testuggine Corazzata (literally an ‘Armored Tortoise’), began development in 1916 by the firm of Ansaldo led by industrialist Turrinelli. The vehicle ingeniously consisted of four independent track sections which could move to allow the vehicle to surmount obstacles, such as large boulders or walls, without causing undue pitching of the vehicle. With a petrol engine and an electrical transmission housed within the giant ‘upturned-bathtub’ shaped body this large machine was as novel as it was huge. Heavily protected and heavily armed, this vehicle was bigger and better protected than the famous Fiat 2000. Armed with multiple machine guns and flamethrowers and covered with 50mm of steel armor, the design was impressive, but never saw production. After an examination of Allied tanks in 1917, the Italian High Command obtained four copies of the French Renault model FT light tank for evaluation. Further orders for 60 more vehicles from France did not materialise, so production of the vehicle was eventually undertaken in Italy by Fiat. A single Schneider CA was purchased from France in 1917 after an evaluation of French tanks. The Schneider was an unusual vehicle with some significant flaws, but the High Command were very interested and tried to purchase a number of additional vehicles. The orders fell through however, and subsequently, the Italians settled on the Renault FT instead, just as the First World War drew to a close. A Lancia 1ZM armored car showing off the distinctive wire cutting bars on the front and the unusual two-tier double turret design with three machine guns. The Lancia-Ansaldo 1ZM armored car is possibly one of the most distinctive vehicles ever made, courtesy of the highly unusual miniature one-man turret on top of the wide main turret. Design work on a new armored car for the Italian Army had begun before the First World War, as the vehicles in hand were either worn out or obsolete. The design for the 1ZM was based on the successful Lancia 1Z truck chassis but refitted with an armored body by the firm of Ansaldo. The first orders for these vehicles was placed by the Army in April 1915. Development continued during the production of further orders with the top turret being eliminated in the 3rd Series. The 1ZM saw action right from the start being deployed almost as soon as they arrived with the Army in 1915. They would go on to see active service from the Balkans to North Africa during and after WW1 and well into the interwar period. 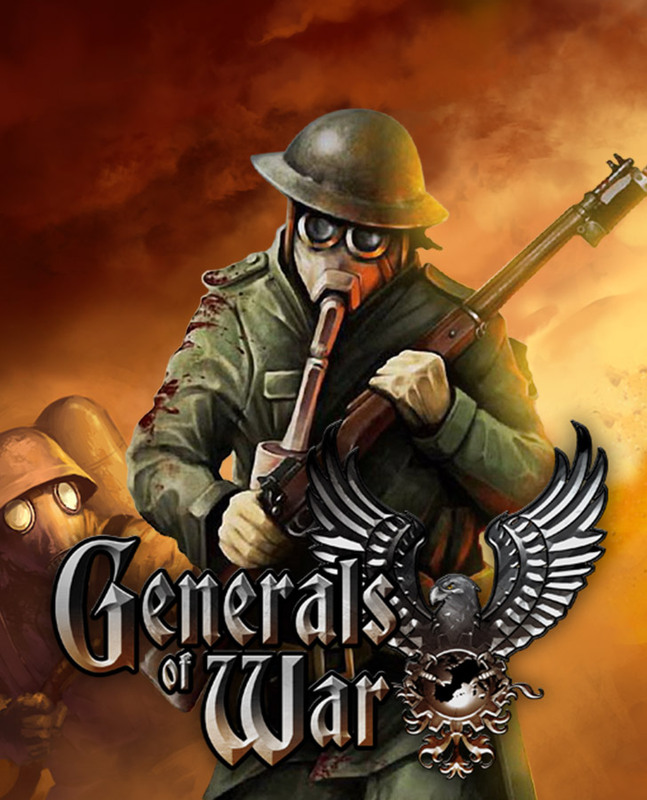 Examples were sent or sold to various other countries, including Austria and Afghanistan, and with the outbreak of Civil War in Spain, the 1ZM would see combat there as well. Despite being obsolete before the Spanish Civil War, the vehicles stayed in service well into the Second World War and some examples were even in use by the Germans until 1945. The Fiat Terni Tripoli was a late war design. It was smaller than the Lancia IZ and better suited for colonial service. The name alone suggests where the intended use was for this vehicle, Tripoli, in the Italian colony of Libya. Like many other Italian armored cars of the era, it sported very odd looking geometrical pattern camouflage schemes which were very effective against the pale backgrounds often found in the desert. The Fiat Terni came too late to see service in WW1, though it would be used for colonial duties in Libya, and some were used in WW2, where they were hopelessly outclassed by Allied vehicles and anti-tank weapons. Designed right at the end of World War One, the Calisi War Car was a patent filing by Adriano Calisi and is remarkable not for being an armored car, but one of, if not the first, design for a mobile bridging equipment on a wheeled vehicle. The development of the Pavesi Autocarro Taglifili (wire cutting machine by Pavesi) began in 1915 and is an unusual machine. Built not on tracks but a type of patented wheel with feet, sometimes referred to contemporarily as a ‘track-laying wheel’. The machine was based on the Army’s 5 tonne Pavesi tractors but with a large armored body fitted to it. Initially, it was fitted with just a single, open-topped turret. On the front of the machine were two large vertical wire cutting blades powered by the engine which, when tested, effectively cut through a thick fence of barbed wire. The Tagliafili machine would, therefore, be used to lead troops through wire barriers to the enemy. Problems with the first prototype led to some additional development, including a second turret and an extension made to the body. Despite this work, the design was not adopted by the Army and it never progressed beyond the prototype stage.